Pilot Iroshizuku Shin-Kai Ink Review – Pens! Paper! Pencils! 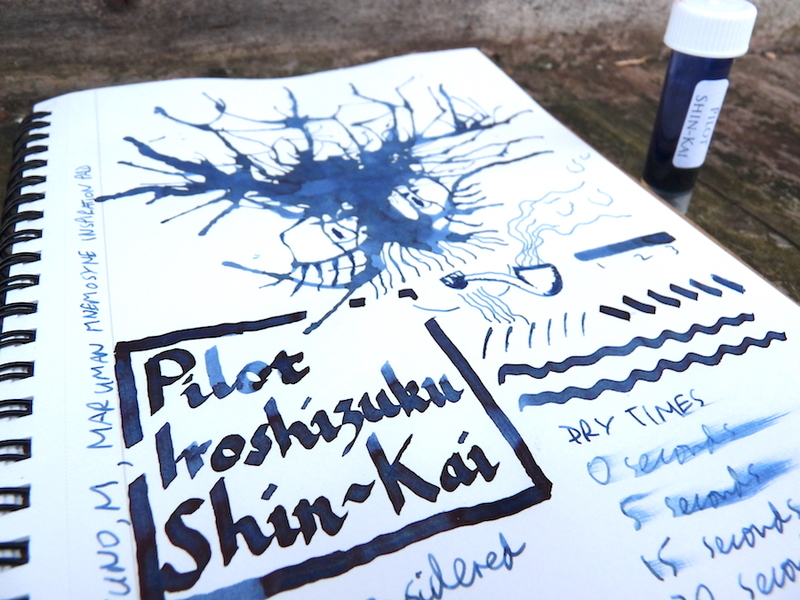 Pilot Iroshizuku Shin-Kai (deep sea) is a gorgeous blue-black ink with a touch of red about it. The red really shows up where the ink pools. As with all Iroshizuku inks, it’s quick to dry and flows well. Unfortunately the memory card in my camera failed while I was drawing this so there’s no video this week. Thank you to Pure Pens for once again sending me this sample. 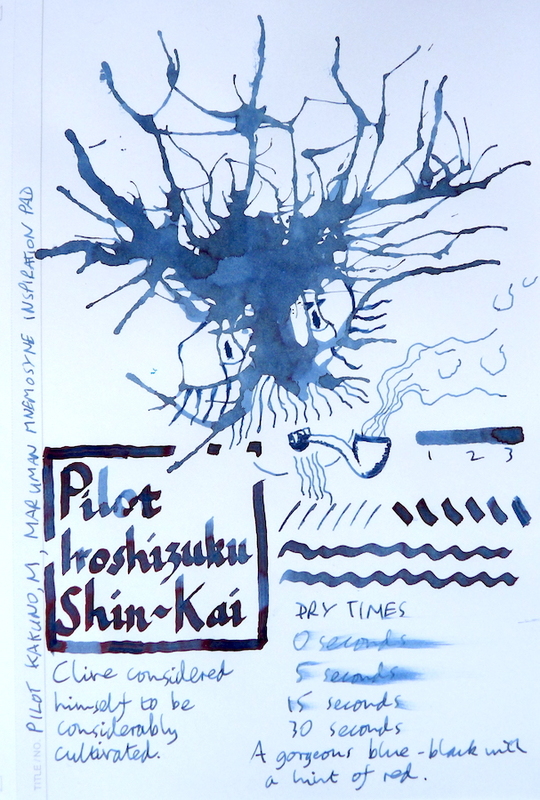 You can find some more reviews of Pilot Iroshizuku Shin-Kai on Pennaquod.